​I was asked to create a simple list which could be initially filled with data available in a Excel sheet. It was said that this could be done by the good old copy/past routine. So when had created the content type and the list (based on the content type) I was was ready to copy/paste the data in the list. And guess what…it didn’t work because it said that there were columns that require data but these are not included in the view. And I was sure that all my columns were not required, they we’re all optional. So, I started looking around and after a while I found the solution why this error happened to me. To fix this you need to go to your Advanced Settings of your list and set the ‘Allow management of content types‘ to NO. If you subscribe to these tips, you should already know that people can interpret visual information faster and more easily than text and numbers. Even if you’re dealing with a table of numbers there are ways to present them visually. Depending on your context, charts are often a great option. For those times when seeing all the data and actual numbers is important you might want to consider a heat map. I recently generated the parent-child and ancestor-progeny data for the ICD-10 diagnostic codes. You can find them on the GitHub repo I set up. While generating the codes was a pretty straightforward matter of =vlookup() and =left(), I discovered only after exporting from Excel 2010 to a tab-separated text format that Excel or Word had converted my ASCII dash (-) and ellipses (…) into special dash (–) and ellipses (…) characters somewhere along the way. 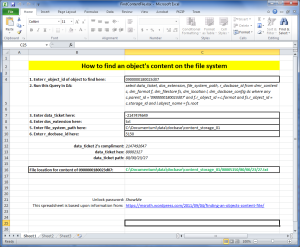 Sometime ago I wrote a blog post detailing how to find an object’s content file on the Content Server’s file store using a data ticket. Recently I had the opportunity to do that a lot. 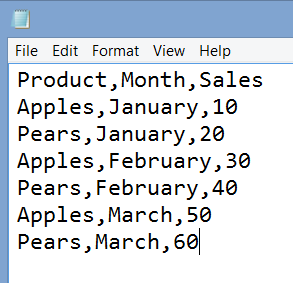 To make life a little easier, I created an Excel spreadsheet to do the math. I cleaned up the spreadsheet and made it available for more general use here if your are interested. One of the most common validation which you may need to implement is to check the file size and file extension before upload the file, i made this simple tutorial to validate the image file size (MAX 1 MB) and file extension, i used here (JPG, JPEG, PNG or GIF) extensions are valid for our image file using jQuery. Submit button will remain disable until valid input is not provided. Note: Don’t forget to include the jQuery library in the header or footer. Leave your comments if you find this tutorial helpful.